Don’t have all day, but still want the experience of a lifetime? Angler’s Adventures & Outfitters has got you covered. 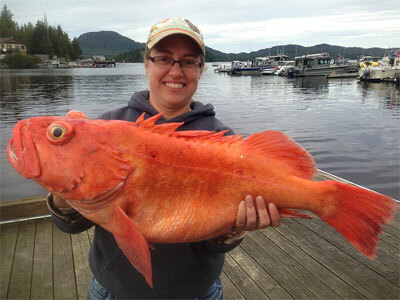 We offer half-day fishing charters in Ketchikan for salmon, rockfish and black & grey cod. 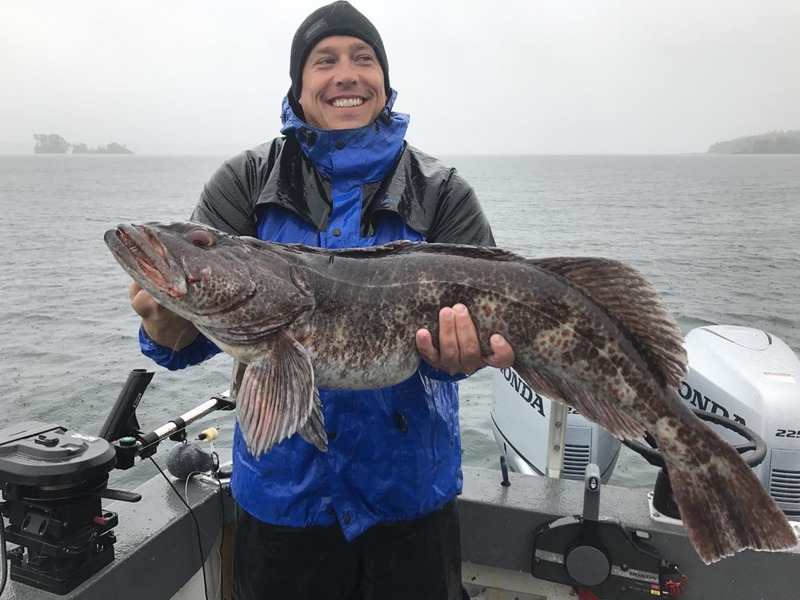 Whether you are a seasoned professional or just getting your feet wet in the fishing game, Angler’s Adventures & Outfitters is ready to take you out on the beautiful Alaskan waters and create some fantastic memories together. Ketchikan, Alaska is known for their abundance of wildlife in and out of the waters. We take personal pride in our home and our wildlife. For us, fishing is our life and Ketchikan is our beautiful home. We are truly living our dream job and look forward to taking out fishing charters so that these lasting memories can be shared with others. Currently, we offer half-day fishing trips, full day trips, and even multi-day charters. For those who have minimal time, the half-day fishing trip is a great option that will still yield wonderful results! Every charter that you board is packed with all the essential gear you’ll need, including rain gear. We have snacks and drinks on board as well as bait, tackle and lures for the fish we are going after. Your Angler is knowledgeable in his craft and offers full and professional instruction and guidance all along the way. Oh, and did we mention the beautiful views all around us? Reserving your charter is essential for any trip you want to take! Every half-day fishing charter is packed with fun and excitement. Brian Ringeisen, your captain, has over 26 years of experience guiding folks through the Ketchikan waters and bringing them to the very best fishing spots in Alaska. He is CPR certified, First Aid certified and has a fully licensed and insured boat. It has been said many times that your fishing guide can make or break your experience. Let’s just say that Brian’s experience, knowledge, and hard-working attitude will blow you out of the water. Your charter boat is a 28’ Bayliner Trophy boat fully equipped with all of the latest technological advances and modern atmosphere. It even has a heated enclosed cabin for the colder Alaskan days as well as a private bathroom. When booking an Alaskan fishing charter, it’s important to know what you are looking for. For our half-day fishing charters, we tend to stick to salmon, rockfish, and your black and grey cod. While Halibut fishing trips are fun, they are typically too far out to sea for a half-day trip. Half-Day Salmon Charters: Ketchikan is known for being the “Salmon Capital of the World.” People come from miles and miles hoping to catch the delectable fish! Here in Ketchikan, we have King, Silver, Chum, Pink and Sockeye salmon swimming through our waters. When we take a salmon charter out, we typically focus on Kings and Silvers. King salmon is one of the most prized catches here in Ketchikan. It is the largest species of salmon and is known for tasting the best. King salmon charters yield the best results in May, June and July. Silver salmon is the second largest and is also known for their delicious taste. This beautiful fish has silver sides and a strikingly bold metallic blue back. We like to send charters out for silver salmon between July and November. Half-Day Rockfish and Grey & Black Cod Charters: We aren’t going to lie. There’s something about pulling a fish from the depths of the sea up onto the boat that just makes us giddy. If you’ve never been out searching for rockfish, it’s time you book this charter. Just like their name, these fish stay on the bottom and hide in the crevices or perch up on a rock. For this reason, with both grey and black cod, as well as rockfish, we tend to fish on the bottom. We use dead baits of jigs and our depths can range anywhere from 50-600 feet. Imagine reeling in one from 300 feet! What an adventure! The same can be said for your black and grey cod. This fish is a delicacy around here and is known as the “butter fish” due to its high omega-3’s and delicious and buttery taste. No matter what type of fish you are after, half-day charters are worthwhile at Angler’s Adventures & Outfitters. Like we’ve said before, half-day charters are perfect for all types of skill levels and age ranges. No experience is necessary to hop on board and start making lasting memories. We guarantee you, you won’t want this fishing trip to end! For more information about booking your half-day fishing charter, call Angler’s Adventures & Outfitters today. Contact us at 907-254-0880 or email brian@anglers-adventures.com and get ready for an adventure of a lifetime!